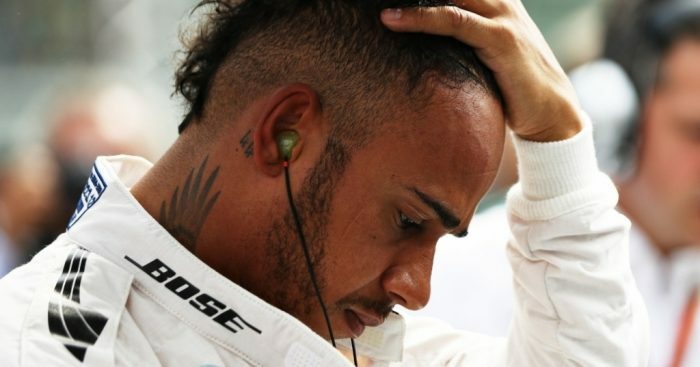 Lewis Hamilton had a bad qualifying round and will start at 14th place at the German GP, while his rival Sebastian Vettel took the pole position who is already one point ahead of Lewis Hamilton. The F1 defending champion was seen pushing his car to pit but all in vain. Post Qualification lewis said ” I didn’t really understand what exactly happened but in mind was to get the car back at track and they told me to turn the car off. I jumped out and i was trying to push it back but it was so far to go. I saw there was leaking oil. Just before the curb i think the steering broke”. He also said ” I don’t want to give up and i will keep pushing. On a track like that comeback isn’t possible and this is one of the worst one for overtaking. So, i will do what i can”. Next Can Fakhar zaman break world record?